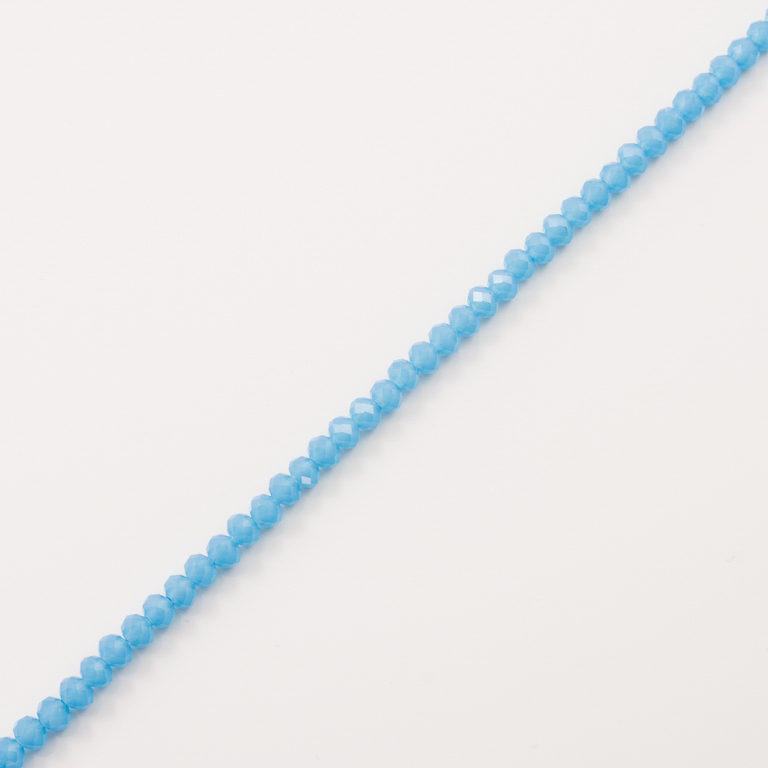 Row of polygonal crystal beads in blue matte color. It consists of 140 beads approximately. Bead's diameter 4mm.